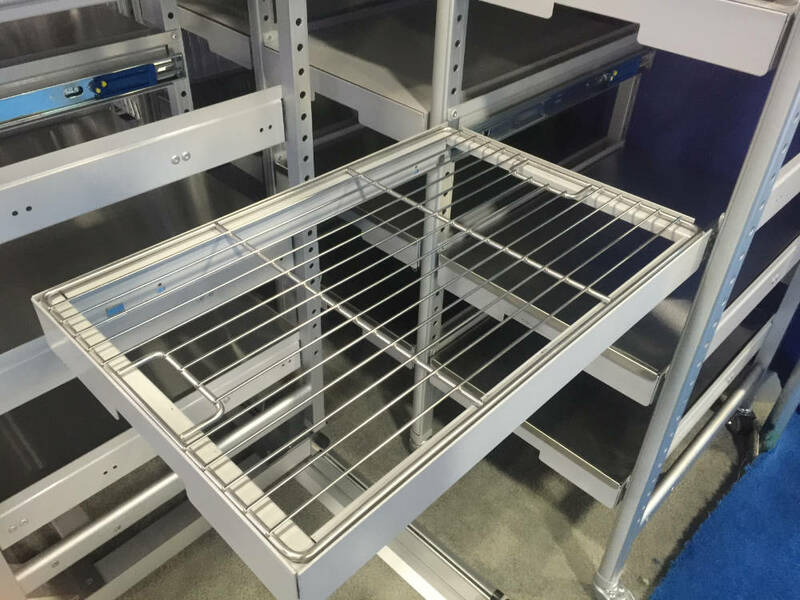 DSI’s redesigned Container Tray Storage (CTS) system for instrument sets is an integrated system that includes heavy duty runners with a rated weight capacity of 100lbs. per shelf. 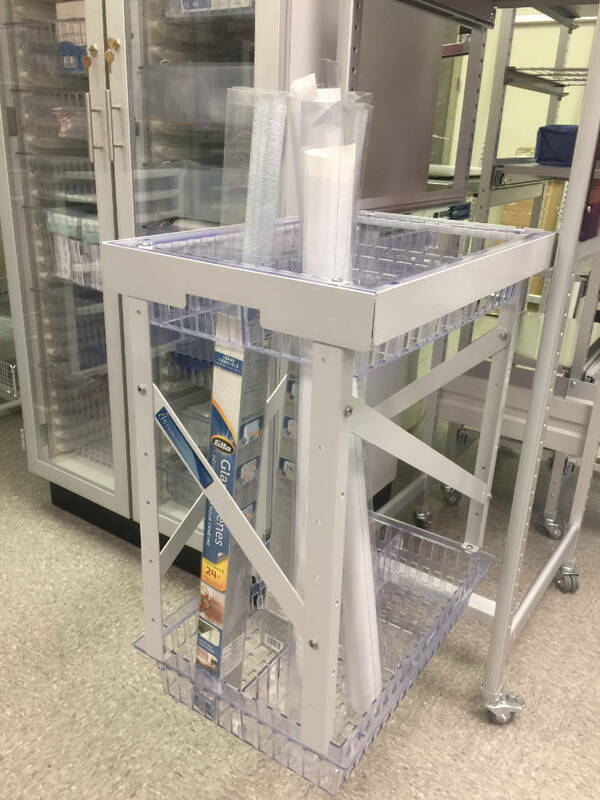 The system now handles stainless steel wire baskets, a stainless steel flat cap for ease of sliding the containers from the side, and our low profile Volkren shelves. 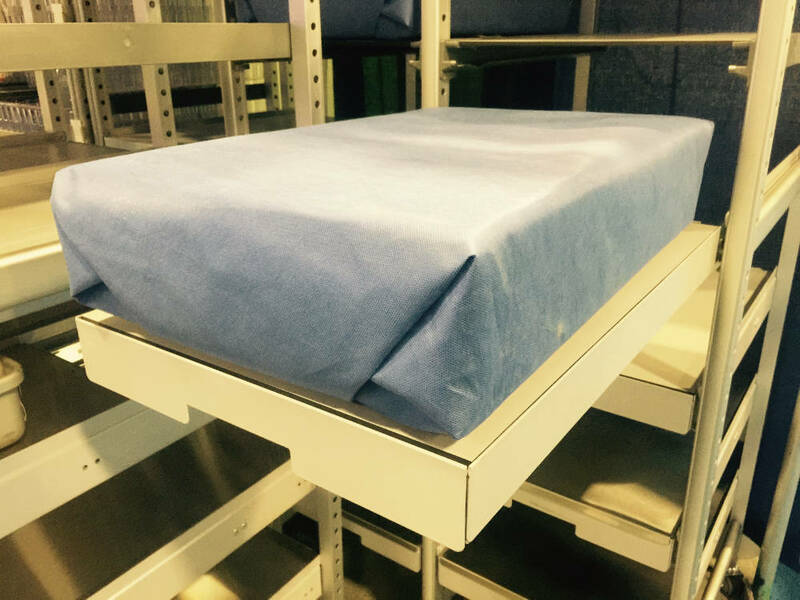 All three systems can be integrated within the new design while using our heavy-duty roll-out shelf. 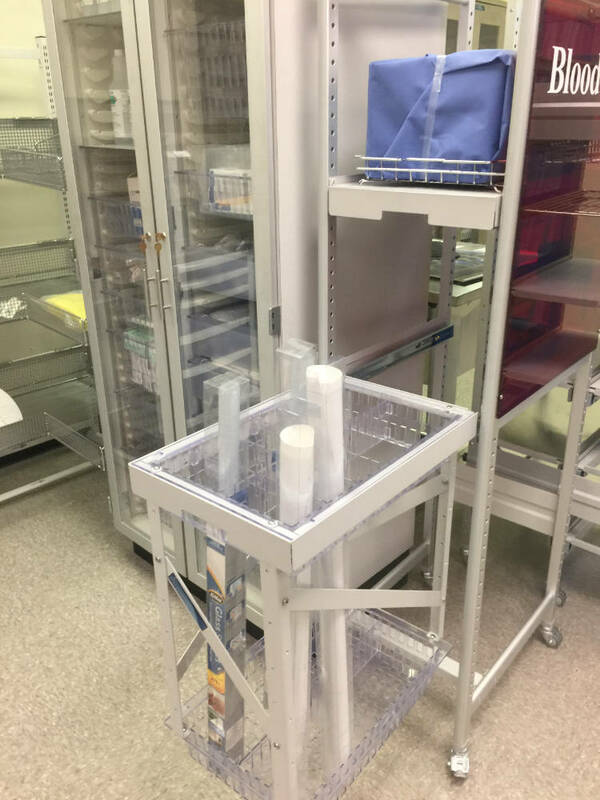 Our new vertical catheter and stint storage system was designed for any elongated supplies that need to be stored vertically in an organized fashion for ease of access. 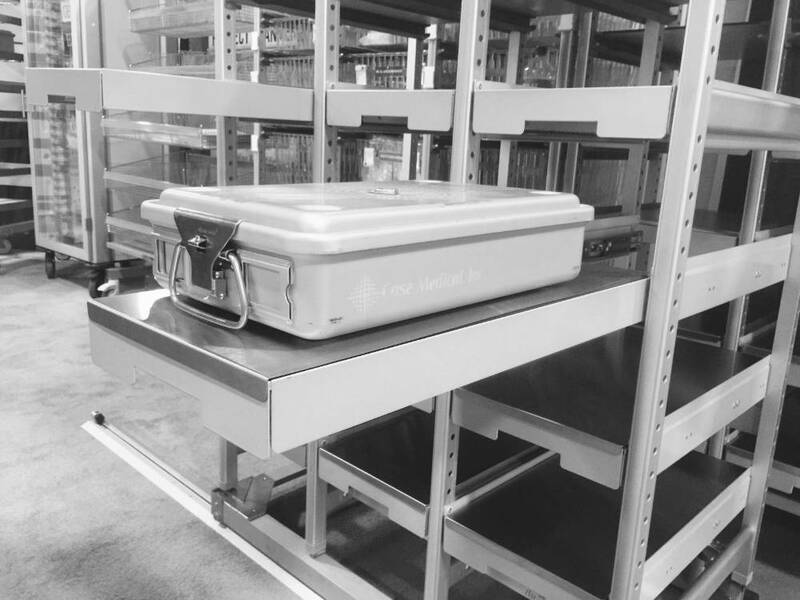 The system enables the inventory to be compartmentalized vertically and labeled so the clinicians can easily identify and retrieve the inventory while pulling the high-density basket configuration beyond the storage unit for access to the back system with 100% accessibility to the supplies.